We always enjoy receiving feedback from our customers. A recent example of this was a pleasing email from one of our clients who lives in the South of France. Just over a year ago we created a full set of tulipwood painted shaker doors for her IKEA METOD kitchen. 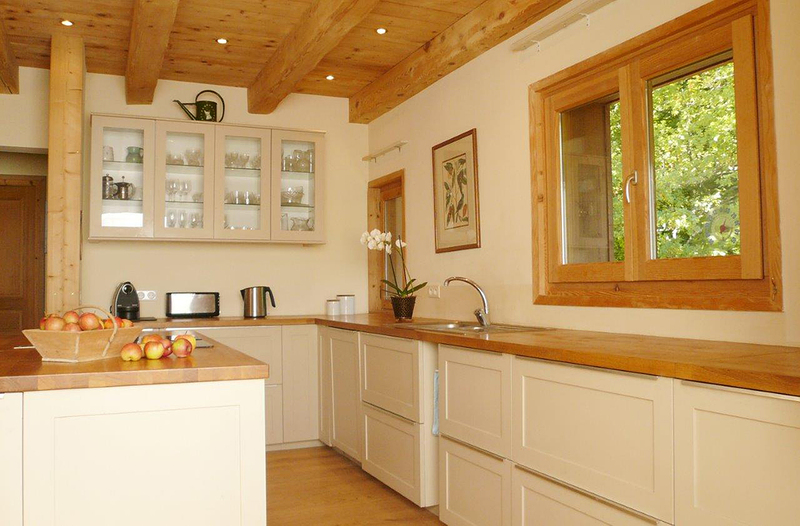 The kitchen doors were colour-matched to Farrow & Ball No. 264 (Oxford Stone) and we also made some bespoke panels to clad an island unit in the same colour and shaker styling. It’s really nice to hear back from another client using our replacement/alternative shaker doors with an IKEA METOD kitchen. Every year we help a large number of customers attain a high quality kitchen at a fraction of the cost by combining our doors with an IKEA METOD kitchen. Combining IKEA’s products with our bespoke joinery is a great way to make something really special, unique and to the highest quality. We would love talk to you about how we can help you do this, or share your story if we have already helped you as a customer.